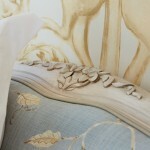 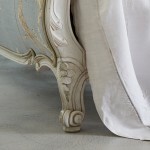 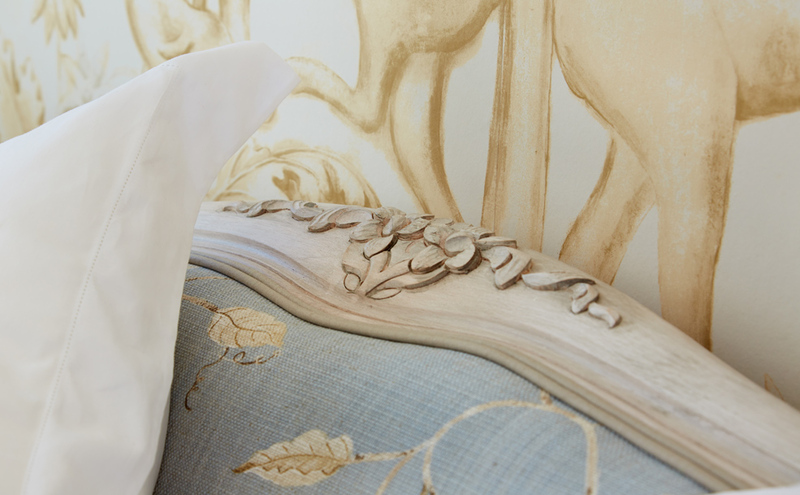 From an original French design from the Louis XV period. 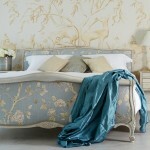 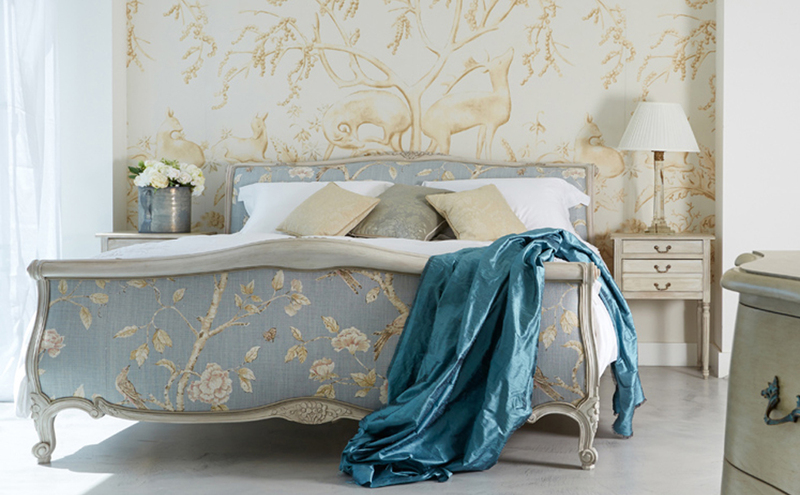 The Rococo style of the 18th Century had a long-lasting influence on design which continues to resonate today. 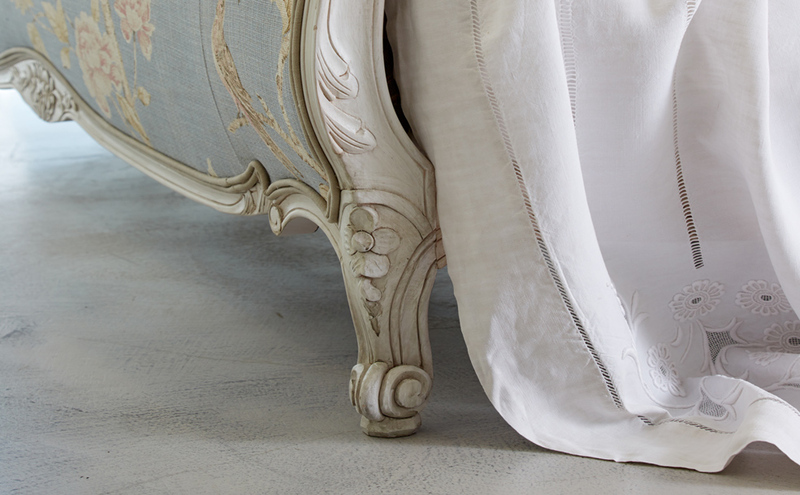 Our Louis XV bed, shown here in an upholstered version, shows off some of the finer points of the Louis XV style, with flowing curves and fine carving on the legs, head and footboards.